Easter is just around the corner, so it’s time to start picking up the Easter baskets, eggs, grass and all the candies to help the Easter Bunny fill the baskets and eggs for Easter morning! 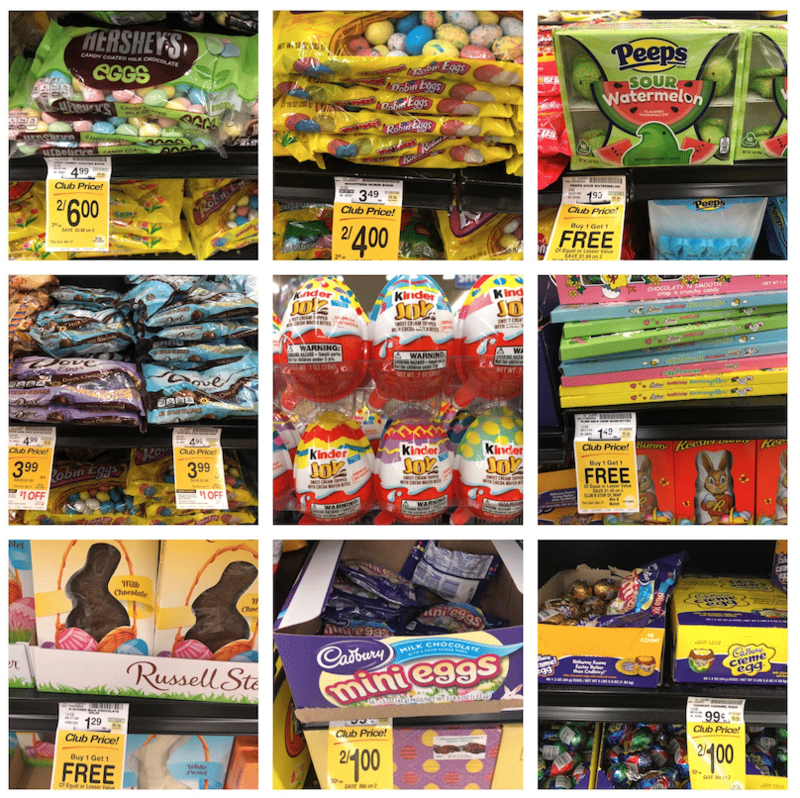 Safeway has some fantastic deals on Easter supplies right now – so you can pick up everything you need while getting your groceries. 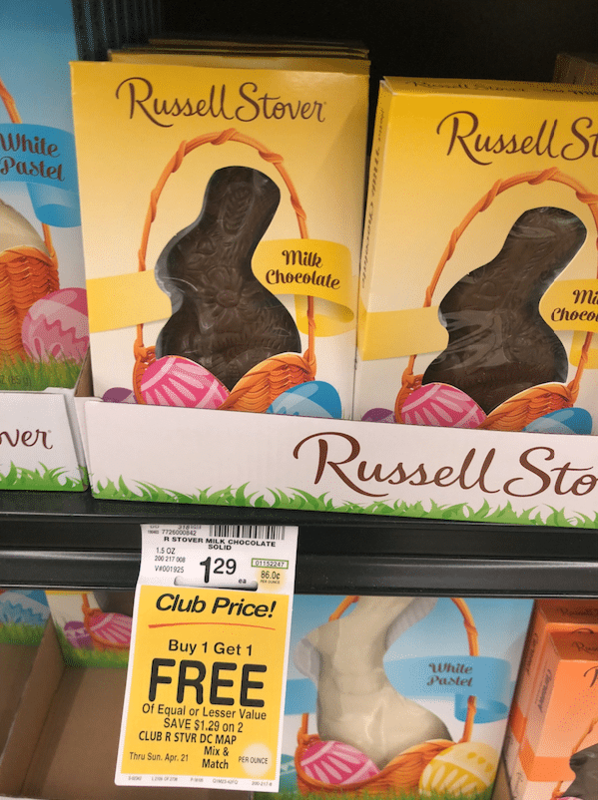 There is a Buy one get one free sale on Crayola and Elmer’s Glue products in the stationary aisle, select Russell Stover Chocolate Bunnies are on sale for buy one get one free and you can get pre-filled Easter baskets for under $10 at Safeway. Or, if you like to make your own, as I always do, then you can get a free basket when you spend $15 on participating Easter items. There is also a Nestle candy Catalina offer on SweetTarts, Laffy Taffy and Nerds Easter Candy. I have not seen these products at my store yet, since it’s a smaller store, but be sure to check your store. I do know that the Nestle products will be on sale next week, so you may wait to see if we get a better deal on these brands.